Professor Frances Shannon is the Deputy Vice Chancellor, Research with responsibility for research, innovation and research training across the university. Professor Shannon also has responsibility for international ranking strategy and university-wide indigenous strategy. Prior to joining the University of Canberra in 2010, she was the Deputy Director and then interim Director of the John Curtin School of Medical Research at the Australian National University. Professor Shannon graduated in 1977 from University College Dublin (UCD) with a BSc (Hons 1st Class) in Zoology followed by a PhD in biochemistry in 1981. Frances is a molecular biologist whose work has made a significant contribution to understanding gene regulation and epigenetics in the immune system. Her contributions have been recognised through various awards such as the Boehringer Medal from the Australian Society for Biochemistry and Molecular Biology and the Julian Wells Medal from the Lorne Genome Conference. She worked initially as a Postdoctoral Fellow at the University of Adelaide and was a Founding Member of the Hanson Centre for Cancer Research at the Institute of Medical and Veterinary Science in Adelaide. In 1998, Frances joined the John Curtin School of Medical Research at the ANU where she led a successful research group over a 14 year period. In addition, she led the development of a large genomics facility at the ANU and contributed to the planning, funding and design of the new JCSMR building project. 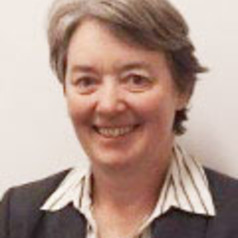 Frances has always been interested in making a broad contribution to bioscience in Australia and served as President of the Australian Society for Biochemistry and Molecular Biology from 2011-2012 and also President of Lorne Genome Conference Inc from 2007-09. She currently chairs the Board of the ARC Centre of Excellence for Advanced Molecular Imaging (Monash University), the Scientific Advisory Board for the LaTrobe Institute for Molecular Science and the board of Epiaxis Pty Ltd, a new UC spin out company. Frances is also a member of a number of ACT based boards including the Canberra Innovation Network and the Epicorp Venture Capital Fund. In addition to her career commitments and achievements, Frances and her scientist husband have successfully (she thinks!) raised three children who are now achieving success in their chosen careers (none in science). Frances likes to mentor/guide other women who juggle career and family commitments and has championed UC's involvement in the Academy of Science's new SAGE initiative for gender equity in STEM.